Image: Chee Siong Teh/EyeEm/Getty Images, Thomas Barwick/Getty Images. Design: Ashley Britton/SheKnows. One little girl is celebrating a very big victory: Hadley Gray — who has been receiving chemotherapy at St. Jude Children’s Research Hospital in Memphis for six months — is finally going home according to Inside Edition. But before doing so, hospital staff wanted to send Hadley off in a musical and memorable way, and their performance is now going viral. 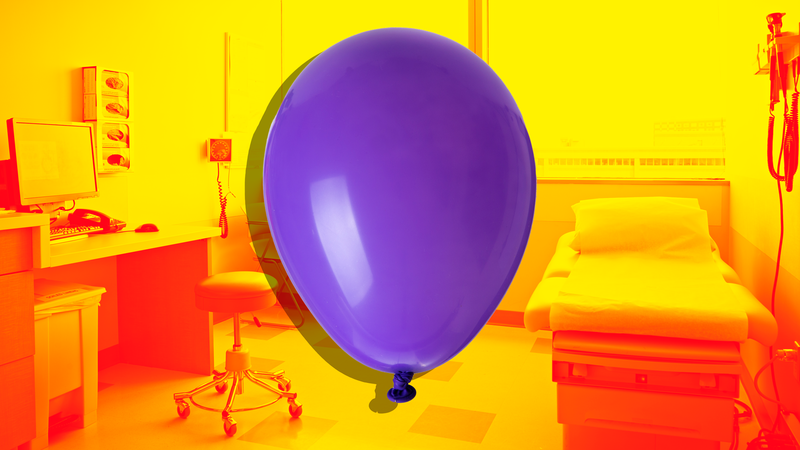 You see, just before Hadley's departure, her oncologist, Dr. Hiroto Inaba, several nurses and other staff members came into her room and sang a special "No More Chemo" song while holding balloons and a colorful card. The group then threw confetti in the air and clapped for the very happy little girl. Hadley, a 3-year-old from Bluff City, Tennessee, received four rounds of chemotherapy after being diagnosed with acute myeloid leukemia according to ABC News, and while the "No More Chemo" song is a hospital tradition for all patients deemed cancer-free, Hadley's mother, Brittany Edgeworth Gray, told ABC the song made her feel special. "[T]o hear her team… singing that song to her just made it feel so real that we were finally going to be coming home." Hadley's doctors expect the young girl to make a full recovery and to go on to live a normal life.